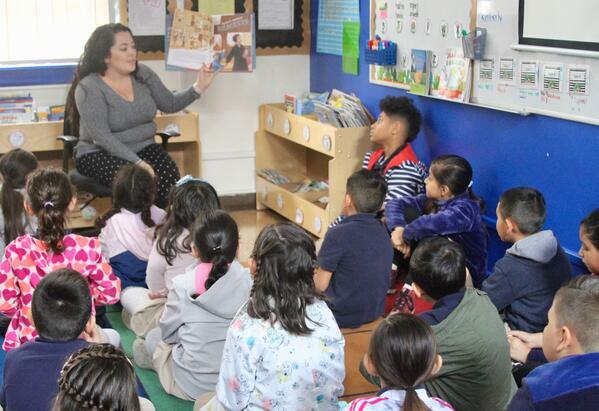 Families at KIPP Promesa Prep in Boyle Heights fundraised to expand their KIPPsters’ classroom libraries. To celebrate influential women who have contributed to the Women’s Rights Movement of their time, each KPP classroom was able to purchase racially-inclusive books about Selena, Sonia Sotomayor, Michelle Obama, Malala Yousafzai, Ruth Bader Ginsburg, Sojourner Truth, Venus & Serena Williams, or Celia Cruz. 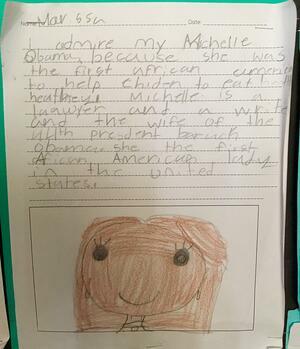 Mrs. Frausto decided to celebrate Women’s History Month in her classroom through “building a space that’s culturally relevant through race, class, and gender.” Students have also been researching historically-significant females, which has been incorporated into her ELA, social studies, and writing curricula. Students wrote about the women in their lives who they most admire including their moms, Rosa Parks, Michelle Obama, Mrs. Frausto, Ruby Bridges, and even Lady Gaga! “These women are a true testament of breaking barriers and preconceived notions, while being true to themselves - one of our school values! I want my students - especially the girls - to realize that they can achieve anything through hard work, and that staying true to themselves is incredibly important,” shared Mrs. Frausto.